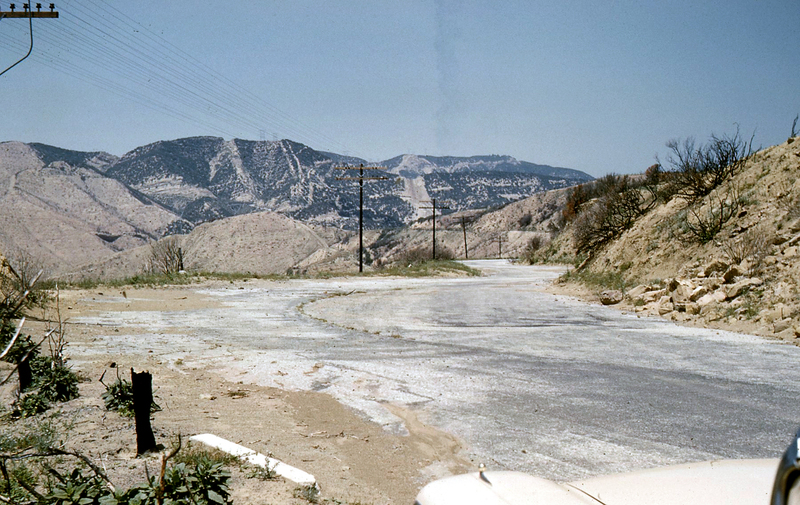 Ridge Route highway as seen in 1960  which is pretty much the same as it looks today (2012). Photographer Michael Sullivan's 1959 Ford is partially visible at lower right. At left is the original, curvaceous 1915 concrete road bed. As time went on, some of the sharpest curves were somewhat straightened and topped with a sloppy asphalt, as seen to the right of the cement. Much of the asphalt topping has washed away in the rain.